Breathtaking space images inspire us. But what if you couldn’t see them? Amelia Ortiz Gil explains how tactile models of the constellations, moon and planets can give people – blind or sighted – a better appreciation of the universe. Tactile moon. Image via A Touch of the Universe. By Graham Jones of Ten Sentences and Richard Gelderman, an astronomy professor and director of the Hardin Planetarium at Western Kentucky University. That which distinguishes astronomy from all the other sciences is this: it deals with objects we cannot touch. So wrote the great astronomer Edward Walter Maunder in 1912. Yet tactile astronomy, originally developed for blind and partially sighted people, can help everyone improve their understanding of the universe – even people with perfect eyesight. Amelia Ortiz Gil, from the Astronomical Observatory of the University of Valencia in Spain, tells her story. Amelia Ortiz Gil: It all started when a school for children with disabilities asked if they could visit our observatory. We started to work with their teachers, saying “OK, these are the things that we do with other schools. How can we adapt these to the needs of your children?” From here, we were asked if we could organize some special activities for the International Year of Astronomy in 2009. 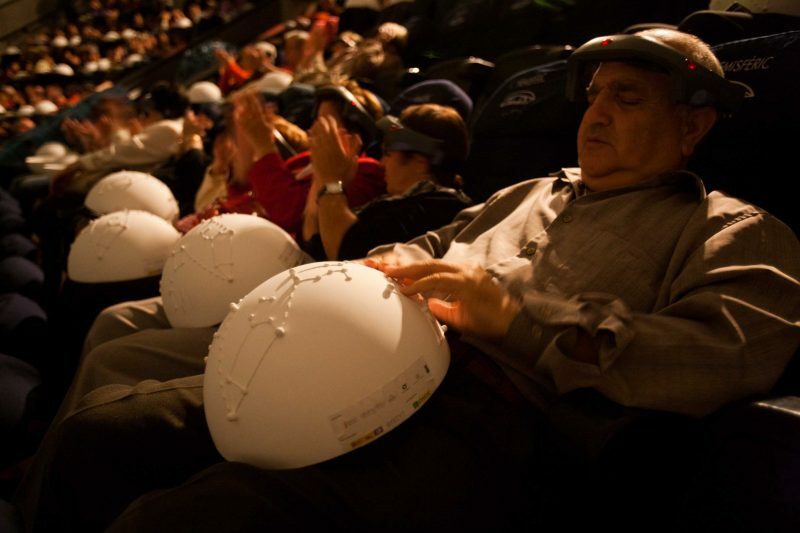 We were lucky because we found a science communicator in Argentina, Sebastián Musso, who had organized a planetarium show for the blind, and he shared his ideas with us. We made tactile domes with some of the northern hemisphere constellations engraved on them, and wrote a script and a soundtrack for a planetarium show: The Sky In Your Hands. 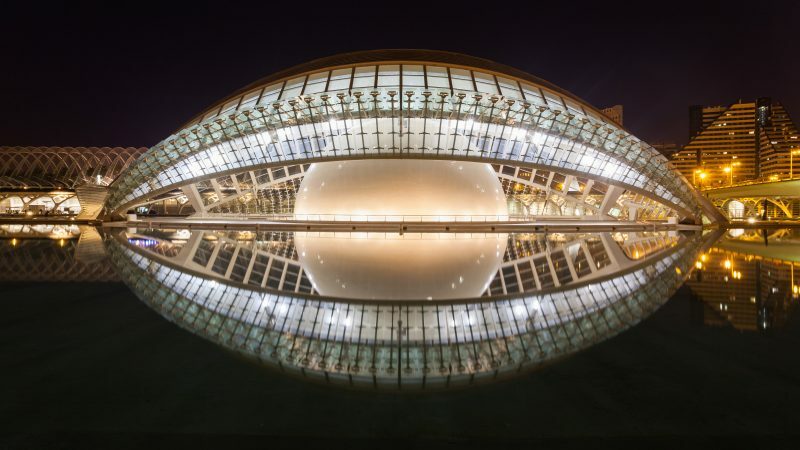 Our premiere was at L’Hemisfèric, a planetarium and IMAX Cinema here in Valencia. L’Hemisfèric in Valencia, Spain. Image via Diego Delso/Wikimedia Commons. The planetarium has speakers distributed across the dome. In the soundtrack, each constellation was associated with a sound, which came from the speaker that was closest in the ceiling to that star. So this, together with the tactile domes, gave people the distribution of the stars through the use of touch and sound. This was important because my colleagues had found that some blind people thought that all the stars were packed together in one single spot in the sky. When you work in this area you sometimes have to find misconceptions that you would never think of beforehand; this was one of them. The show was a moving experience. Some people, who had lost their vision later in life, were crying because they said they had remembered what they used to see when they were kids. Others were telling us that they had finally grasped concepts they had read about but not really understood: the distribution of stars, the shape of the constellations, and things like that. It was a mixed audience, and people who were not blind also enjoyed the show. They enjoyed touching the models and realizing that the thicker stars are the brightest ones, and the smaller ones shine a bit less. You cannot always grasp that when you are just looking at a lot of stars in the dome. Kids also enjoyed the program. It’s nice to touch! We have a natural inclination to touch everything. And there was an exchange of information between blind and non-blind people. Because they are using different sensory channels they perceive differences that the other one might not perceive. So it helped everybody. Image via A Touch of the Universe. After the tactile sky, our next challenge was the tactile moon. We thought about doing a topographical representation of the moon. But would that really be useful? We felt, no, it would be nicer to have a tactile representation of our visual impression of the moon. For example, we are used to seeing the rays around craters, and you miss that when you use a topographical representation because the rays have no height. We took visual data from Clementine’s map of the moon (the NASA probe that mapped the whole surface of the moon) and translated it into height on a globe. The brighter features have a greater height than the darker features; the maria – the dark seas on the map – are smooth on our globe. We have a meridian that is the border between the near side and the far side. An engraved T marks the north pole, with the vertical line pointing to the near side. We also put some braille letters close to some of the features, and created a braille key. We like to give people this autonomy – this freedom – to explore the moon for themselves. Blind people conceive the world in a different way; they have different misconceptions to the rest of us. For example, one blind person said – this is recorded in a video, it’s amazing – “Hey, so the moon is a globe? !” Until then her tactile experience of the moon had been in books with just a flat map, so she thought the moon was a flat disk. So that was another misconception that I didn’t expect to find, but is there. After that we thought, why stop at the moon? So now we have topological models of Mars, Venus, Mercury and the Earth. And one of our team, Jordi Burguet, has produced some wonderful software called Mapelia – you can take any map you can think of and convert it into a tactile sphere that can be printed on a 3-D printer. Making the models helped me to better understand the surface of these planets. With Mars, you really see how flat and smooth the northern hemisphere is compared to the south. And Venus has many complicated features. And so we are giving people tactile models of things that nobody can see, neither blind nor sighted people. OK, you can see a bit of Mars through a telescope, but you cannot see anything of Venus. 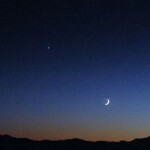 No human being has a direct visual experience of the surface of Venus. Note: All of the resources Amelia mentioned in this article — tactile domes and planets, software, soundtracks and guides — are available under a Creative Commons license at A Touch of the Universe. “We want to share this with everyone in the world,” she said. Bottom line: Astronomer Amelia Ortiz Gil explains how tactile models of the constellations, moon and planets can give people – blind or sighted – a better appreciation of the universe.